Savory and spicy bite-sized meatballs in a satisfyingly thick sauce, no furniture shopping required! (Although if you really wanted to, you could introduce them to your family as MEATBÅLLS and see if they get the joke). 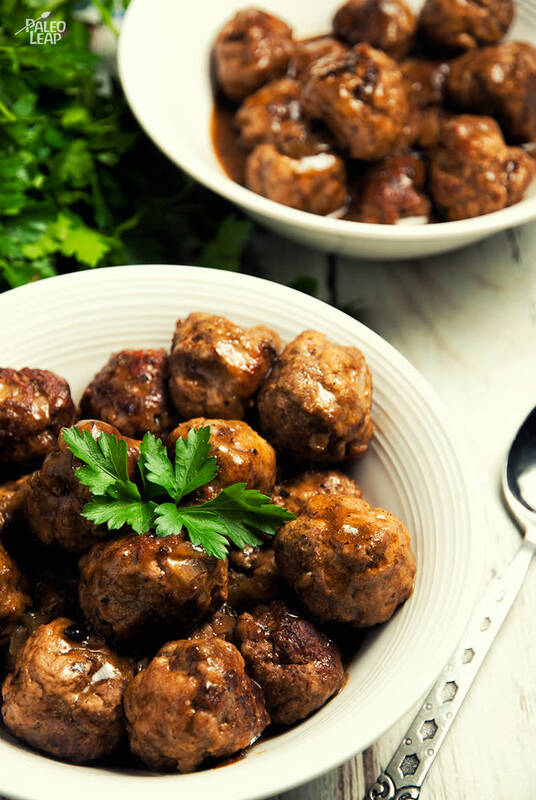 Even if you’re not a big IKEA fan though, these meatballs are delicious just as dinner. The spices add a nice warmth, and the generous use of ghee and coconut milk in the sauce makes it thick and satisfying. It’s a perfect dish to warm up with after a long day – maybe over some zucchini noodles or spaghetti squash (this recipe has directions for roasting spaghetti squash to make Paleo “pasta” if you don’t know how). This recipe is also a great one for kids to help with, provided your kids are old enough to handle raw meat safely. Smaller hands are perfect for getting the meatballs the right size, and getting kids involved in the kitchen is one of the best ways to get them excited about eating healthy food. 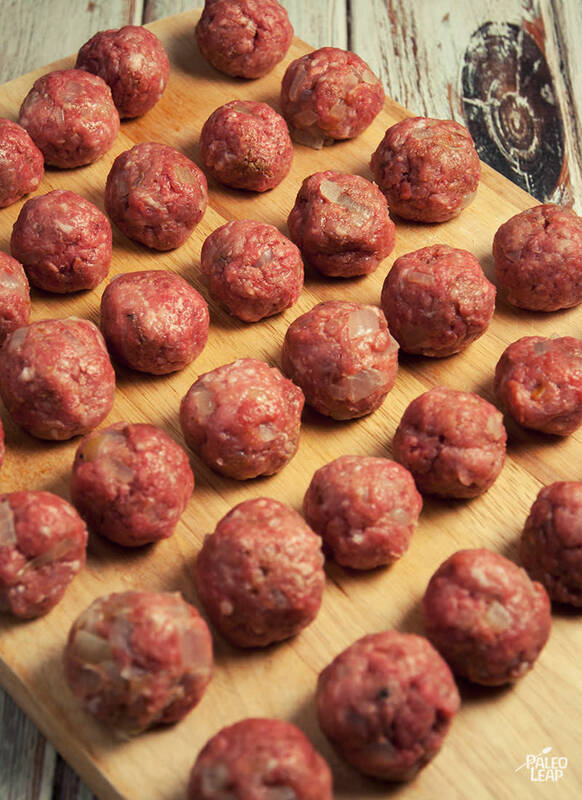 And the meatballs themselves also make great lunchbox fillers if you have any left over! Heat some cooking fat in a large skillet placed over a medium heat. Add the onion, and cook, stirring consistently, until the onions are soft, about 4-5 minutes. In a bowl, combine the beef, pork, almond meal, egg yolks, allspice, nutmeg and cooked onion. Add some more cooking fat to the skillet and brown the meatballs in batches on all sides, about 5 minutes per batch, and set aside. Melt the ghee in the skillet placed over a medium heat. Gradually whisk in the beef stock and cook, whisking constantly, for about 2 minutes. Stir in the coconut milk and season to taste with salt and pepper. Remove a small amount of the sauce from the pan. Mix the tapioca starch into that small amount of sauce and slowly return it to the pan, whisking consistently, until it thickens.